Thank you for your interest in a position with Maid In West Sussex. 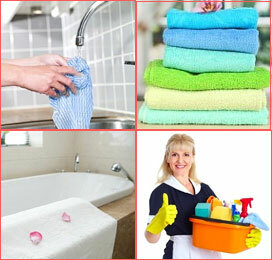 Maid In West Sussex is a small family run company based in West Sussex. We have many years of experience in the cleaning industry working for others and have now built our own company. Our client base are well established residents living in and around Bognor Regis and therefore we are only looking to employ the best. Our reputation is at stake whenever we enter a clients property and we will protect our reputation at all costs. We also aim to ensure that we exceed our clients expectations everytime. We recognise hard workers and compensate them accordingly. Therefore only reliable, trustworthy, hardworking people need apply. We only want cleaners who will strive to give our clients the best experience. You must have good work ethic and take pride in your work. You will be required to provide work and personal references and be able to pass a CRB / DBS background check. If you believe you match the description above and would like to be considered to join of our friendly team, we would love to hear from you! Thank you for your interest in a position with Maid In West Sussex. Please apply by filling out the details below, please ensure you fill in all sections of this application form to give us an accurate and complete overview of your qualifications and skills. Under the Asylum and Immigration Act 1996 you will need to provide documentary evidence of your National Insurance Number and Work Permit. Unfortunately we cannot offer you a position at this time. Please cancel this application. Thank you. Please provide your employment history. Put your most recent employer first. Please provide details of two referees that can be contacted. (One must be your present – or most recent – employer and the other should be, where possible, a previous employer). I declare that the information given in this form is complete and accurate. I understand that any false information or deliberate omissions will disqualify me from employment or may render me liable to summary dismissal. I understand these details will be held in confidence by the Company, for the purposes of assessing this application, on-going personnel administration and payroll administration (where applicable) in compliance with the Data Protection Act 1998. I agreed that Maid In West Sussex may make enquiries without breaching my rights under the Data Protection Act or other applicable legislation. I understand that any offer of employment will be subject to information on my criminal record / DRB check being disclosed to the Company. Please use your mouse (hold left button) or finger on a smartphone or tablet to sign.